Over the centuries, men have exhausted the resources of their planet. After long fratricidal wars to try to capture the last resources, some have decided to try their luck beyond the borders of the planetary system, somewhere behind the large asteroid barrier. To adapt to their new living conditions, they chose to abandon part of their humanity. They have shifted much of their organic body to a robotic body, better able to withstand the harsh conditions of space. After several generations, only traces remain of their humanity and a religion that is built on the myths and legends born from snippets of memories of their past. The few humans left on the original planet have also adapted for survival. For this, they have relied on genetics and nanotechnology, but environmental pollution and genetic changes have significantly reduced their ability to sexually reproduce. Now only a few cases of natural births remain. So that the species did not disappear completely, they undertook a breeding program by highly regulated cloning. In addition, they developed many robots to clean up the planet and restore a favorable ecosystem for life. The society has gradually been rebuilt with three classifications: native, clones and robots. The huge numbers of the latter are kept under control thanks to an integrated system ensuring their loyalty. Five centuries after the dark years, renewed prosperity helped colonize the main planets around the giant star Orion Prime and group them into a federation. 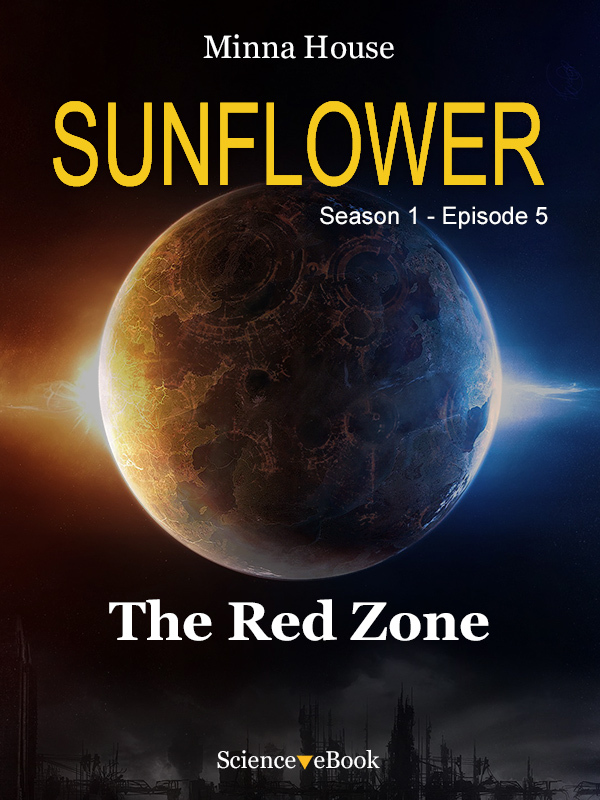 Sunflower is a literary series of Science-Fiction with an innovative format adapted to the new digital reading experiences. Each episode goes straight to the point of action and can be read within minutes, the time of a trip or just for pleasure and entertainment. As a whole, the series creates a rich and complex universe full of references. Sunflower is a great space adventure on the border of several trends: space opera, "hard" science fiction, cyberpunk and fantasy. Minna House made neuropsychology studies at the University of Vienna before moving to San Francisco and to devote herself to writing Science-Fiction and Fantasy novels. J'accepte les termes et conditions. Le lien de téléchargement est envoyé dans les 24h après validation du paiement. Ce site ne stocke aucune information personnelle.